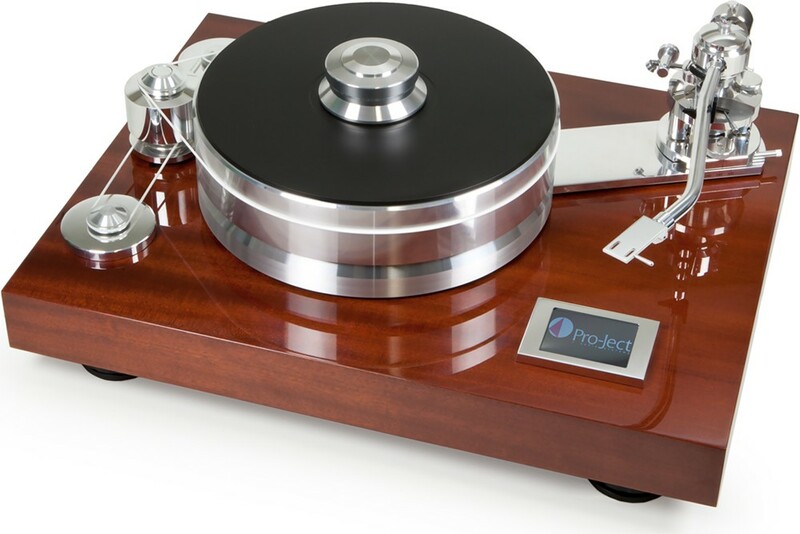 Pro-Ject's flagship turntable, a statement that embodies Pro-Ject's true passion for sound. Generous part exchanges and trade ins available - contact us for pricing. Earn 7499 loyalty points when you order this item. 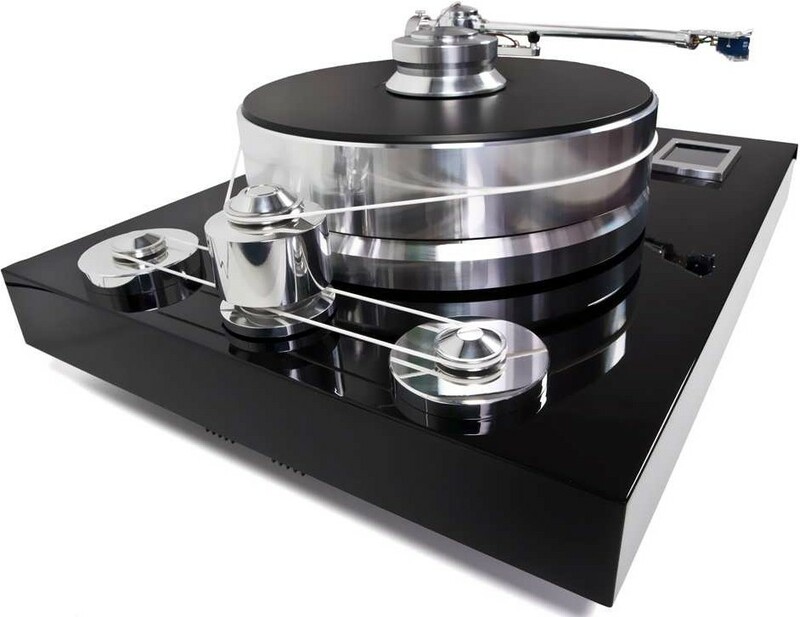 The Signature 12 is Pro-Jects flagship turntable, available on 0% finance with generous trade ins available against your old equipment. 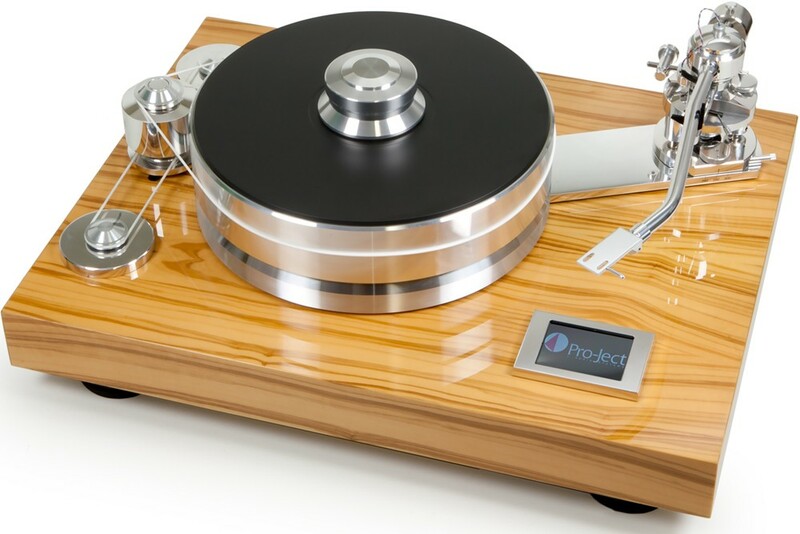 This no-compromise design celebrates Pro-Ject's 20th Anniversary. It doesn't get any better than this. 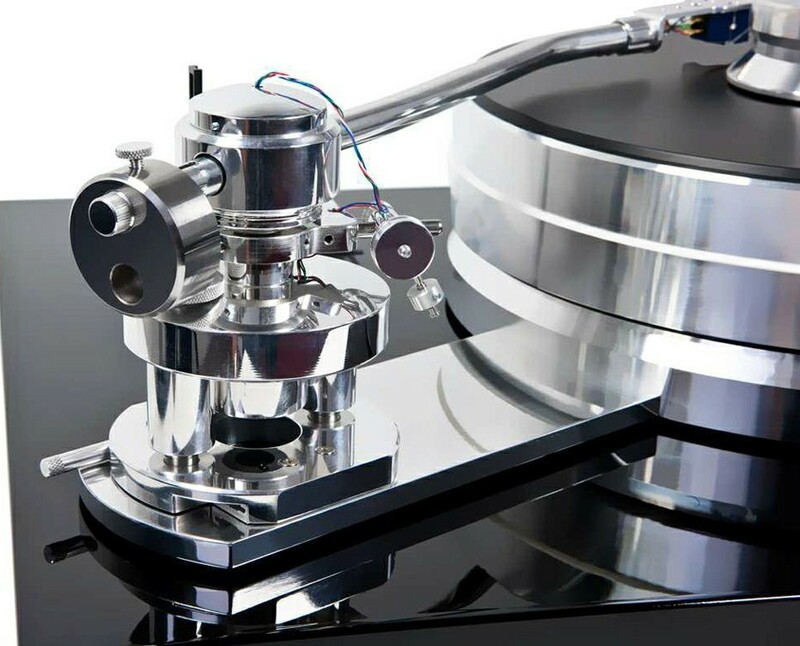 An audiophile marvel that represents Pro-Ject's superiority in precision-engineering and deep love for music! The Signature is a highly-sophisticated concept combines the mass-loaded principle with a subchassis design. 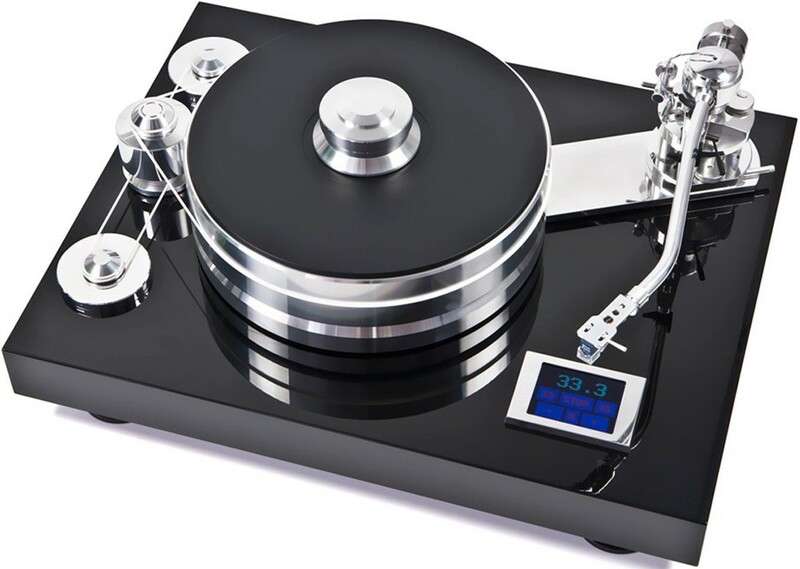 Magnetic feet decoupled from the chassis surface, Sorbothane 'pillows' and a floating-magnetic platter essentially guarantee a silent-running turntable. The stylish 'fly-wheel' Belt Drive System ensures vibration-free running of the massive platter. 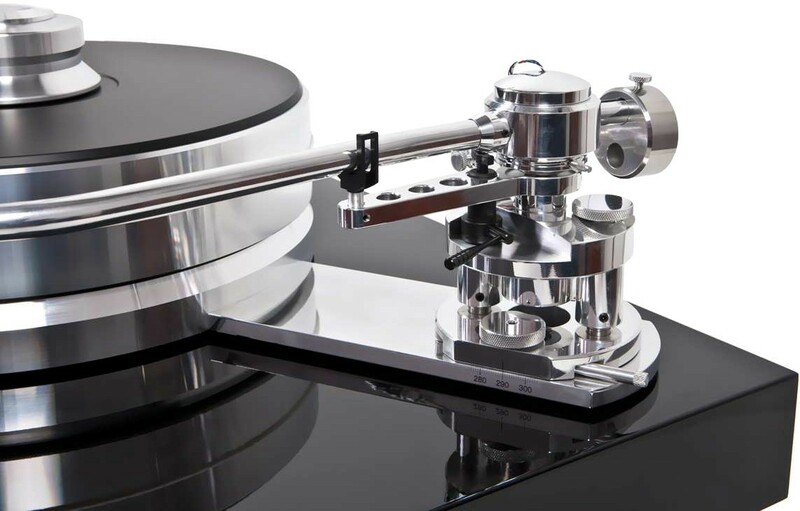 The new single-pivot tonearm is a unique and genuine design by Pro-Ject. With its wide range of adjustment possibilities and the choice of adequate counterweights, nearly all cartridges can be mounted. 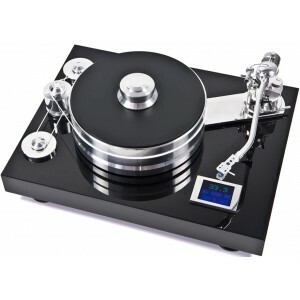 Please note: this model is not supplied with a cartridge, but we can offer expert advice on a suitable matching phono cartridge and hi-fi separates. 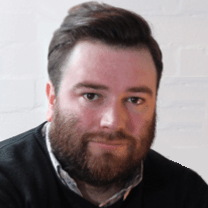 Please contact us for advice.